Ray Wijewardene: Freed from gravity, at last! I went straight from a paddy field, where I was filming much of the morning, to the funeral of my mentor and friend Ray Wijewardene early afternoon at the General Cemetery Colombo. Ray would have approved: despite being a high flyer in every sense of that phrase, he had his feet firmly on the ground — and sometimes in the mud. He was fond of saying, “Agriculture is my bread and butter, while aviation is the jam on top of it”. 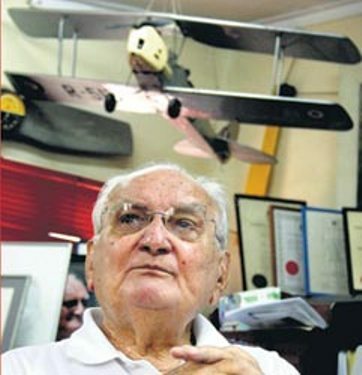 Dr Philip Revatha (Ray) Wijewardene, who passed away on August 18 aged 86, was an accomplished engineer, aviator, inventor, Olympian and a public intellectual of the highest calibre. He was also one of the most practical and down to earth people I’ve known. He preferred to introduce himself as a farmer and mechanic ‘who still got his hands dirty’. Perhaps that’s how he wanted to be remembered — but each one of us will carry our own vivid memories of this colourful, jovial and altogether remarkable human being. I’ve already written a quick introduction about Ray for Groundviews.org, which has published a long interview I did with Ray 15 years ago, originally for an Indian science magazine. That exchange is a reminder of the imaginative thinker, life-long experimenter and outspoken scientist that Ray always was. I’ll be writing more about Ray Wijewardene in the coming weeks, exploring his many different facets. I’ve known and walked alongside him for almost a quarter century. For now, I’ll remember him for one facet that I didn’t share despite many offers and invitations: flying. Ray just loved to fly. Most humans share this age old dream, but Ray wasn’t contented just being flown around on commercial jets — which to him were merely large, sealed up cylinders. He far preferred the small, propeller-driven aircraft – single or twin seaters that gave their passengers a true sense flying and a real taste of the sky. Looking back, it was quite apt that I first met Ray at the Ratmalana Airport, just south of Colombo, from where he took off and landed hundreds of times over the decades. One sunny morning in mid 1986, he took time off from his flying to talk to a group of high school leavers who were participating in the first Science for Youth programme. It exposed us to various (then) modern technologies over six consecutive weekends. Much of the knowledge we gained has long been obsolete, but its inspirational value was timeless….and continues to propel me forward. Much of that inspiration came from Ray Wijewardene, who talked to us – with lots of practical demonstrations – about problem solving and innovations in three areas close to his heart: energy, agriculture and transport. I remember how he was experimenting with improvements to the humble bicycle at the time, so that riders could optimise performance with modest efforts. He also talked about growing our food and energy. But it was his flying experience that most fascinated us starry-eyed youngsters. 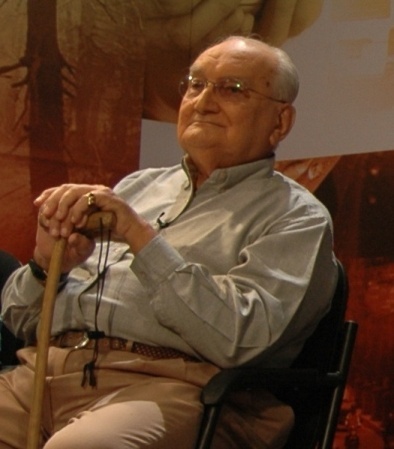 As a pilot, Ray was licensed to fly three kinds of flying machines: fixed-wing aircraft, helicopters and autogyros. But this pilot was flying not only factory-fitted, mass-manufactured units. He also experimented with building and flying his own ultra-light aircraft and helicopters – he was particularly interested in building amphibious small planes that could land on, and take off from, Sri Lanka’s numerous inland lakes and reservoirs. All this and more made Ray a journalist’s dream, but as I soon found out, he wasn’t an easy subject to cover! In 1988, The Island newspaper asked me to interview Ray and write an article about the dream and reality of flying. He happily talked with me for two hours — yet, in the end, didn’t want his name mentioned in print. For all his accomplishments and outspoken views, Ray was completely publicity shy. He didn’t mind his views being reported, but with little or no mention of the source. When he was approaching 75, Ray told me how nervous he was when he had to go for renewals of his pilot’s license. In the end, it wasn’t age that ended his flying career: along with everyone else, he was ‘grounded’ when private flying was first restricted and then banned during the latter years of Sri Lanka’s long-drawn war. I kept deferring my own tryst with the open skies and was too preoccupied with earthly matters — and suddenly, it was too late. By the time Sri Lanka’s war ended in May 2009, Ray’s flying days were over (and our skies are not yet fully free for private domestic aviation). Gravity, bureaucracy and age may have conspired to keep Ray confined to the ground in the last few years of his life — but only just. His spirit soared even when the body wasn’t allowed to: in all my years and encounters with him, I’ve never seen him ‘down’ (concerned and reflective, yes; depressed, no). That passion, enthusiasm and spirit of adventure characterised Ray and influenced everything he did, on the ground and in the air. Born in the 1920s and raised as part of the first generation of humans for whom private flying was available, he was infected with the ‘flying bug’ in the same way that American author and aviator Richard Bach was. 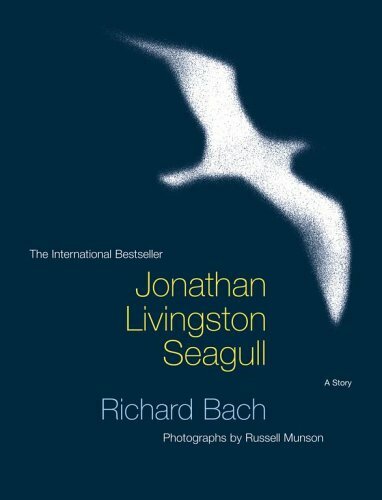 In fact, Ray knew Bach and was a devoted fan of the latter’s books, especially Jonathan Livingston Seagull. Perhaps Ray saw himself in Jonathan: a seagull tired of the monotonous life in his clan. He rather experiments with new – always more daring – flying techniques…which means he must fly solo most of the time, and confront the travails of life on his own. It was entirely fitting that a grand daughter would recite the poem ‘High Flight’ by John Gillespie Magee, Jr., a favourite verse among aviators and, more recently, astronauts. No longer a prisoner of gravity: sky-lover, pilot & light aircraft builder Ray Wijewardene blasted off heavenwards. Farewell, high flyer!